This spring, along the Atlantic coast from Florida to Maine, small numbers of endangered Atlantic sturgeon will come in from the sea to make their way upriver to spawn. These fish, and the new generation they will produce, face daunting odds. These odds are made all that much greater by the lack of legal protection for the habitat they will traverse. This is why NRDC, together with the Delaware Riverkeeper Network, filed a lawsuit today against the National Marine Fisheries Service. 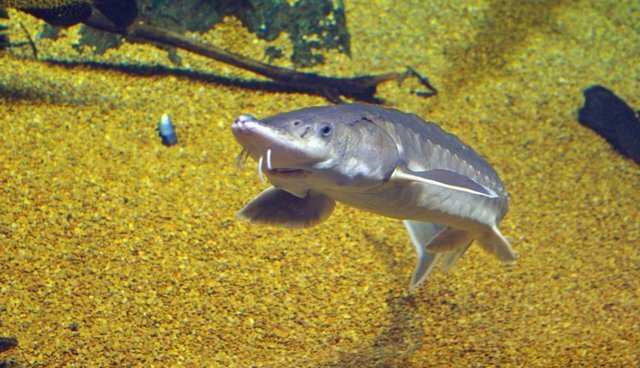 In February 2012, the Fisheries Service listed four distinct population segments of Atlantic sturgeon as endangered and one distinct population segment as threatened under the Endangered Species Act. When a species is listed, the ESA requires that habitat considered critical for the species' conservation and recovery be designated. When the Fisheries Service listed the Atlantic sturgeon, it did not designate this "critical habitat." The law allows a one year extension but it is now more than two years since the listing, and there remains no critical habitat designated (or even proposed) for the embattled species. NRDC and the Delaware Riverkeeper Network are suing the Fisheries Service to compel it to move forward with the designation. Critical habitat designation will help protect the waters where Atlantic sturgeon feed, seek cover, and reproduce. This is because designation of a habitat area as critical prevents federal agencies from funding or undertaking activities in the habitat if the activity will destroy or adversely modify that habitat. With sturgeon populations down as much as 95+ percent in some rivers and the threats to the species severe and wide-ranging, including fishing, dams, pollution, dredging, vessel strikes, and, increasingly, climate change, the species needs all the help it can get. The Atlantic sturgeon-a gargantuan, armor-plated fish that can top 14 feet and 800 pounds-has swum in our waters for more than 70 million years. We are going to federal court today to make sure it is around for another 70 million to come.